Jamie Howard has been dancing since she was 2 years old . She began working at the Steps Dance Center in 1995, and in 2003 she became the owner of the studio. Steps Dance Center offers competitive and recreational dance levels for children and adults of all ages. 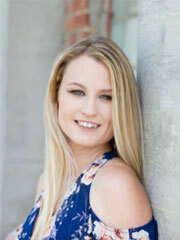 Jamie is a choreographer and instructor for many studios on the east coast. She choreographed for the Warner Brothers movie “The Change Up” and her students have won numerous awards at both regional and national competitions. Her greatest joys are spending the day with her students at the studio encouraging them to do their best! Jamie lives in Canton, Georgia and has two sweet children, Kethan, age 12, and Maya, age 8. 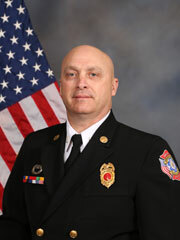 Lieutenant Thomas Bates is the EMS Director of the Smyrna Fire Department. He has been a Firefighter/Paramedic for Smyrna Fire for 18 years and a Lieutenant /EMS Director for four years. Tommy is an Army veteran from the 82nd Airborne and he retired from the Georgia Army National Guard in 2009 as a Flight Medic. Of all his accomplishments, Tommy is most proud of his roles as husband to Sally Bates for almost 24 years and as father of his two sons Jake, 21, and Reagan, 14.